Jane Arnold Lincove holds a Ph.D. in Public Administration from the University of Southern California and a Masters in Public Policy from UCLA. 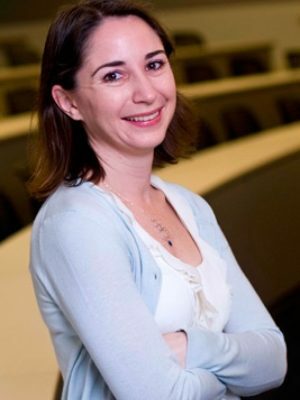 Her research examines the design and effects of market-based education reforms in the US and developing countries. Current research interests include hiring and compensation policies in charter schools, school choice, and college access. In 2010, she received a prestigious National Academy of Education/Spencer Foundation Postdoctoral Fellowship to study teacher pay policies in Texas. She has extensive experience as an expert adviser to government agencies including Texas Education Agency, Texas Higher Education Coordinating Board, and numerous school districts. As co-Director of the Project for Educator Effectiveness and Quality, she helped develop a new accountability system for educator preparation programs in Texas, including a value-added measure the contribution of programs to student performance growth that was developed with statewide student-level data. Formerly the Associate Director of ERA-New Orleans, Jane is currently an Associate Professor of Public Policy at the University of Maryland, Baltimore County. She also holds research affiliations with ERA-New Orleans and the Maryland Longitudinal Data System Center. Her academic work is published in American Economic Review, Education Evaluation and Policy Analysis, Economics of Education Review, Journal of Teacher Education, World Development, and other academic journals. Visit Jane Arnold Lincove's professional website.